It was more than what I expected. Economy class seems like a premium class. There's no hassle when you board in. Me and my cousin were worried at first because we have different sailing schedule and different port to land on. But thanks to a guy (I think he's conducting a research there or assessing the satisfactory level of the people taking the ferry) for helping us communicating with the staffs there as they only speak very little english (but there are staffs who can speak fluent english but not all). It was indeed a very nice experience. 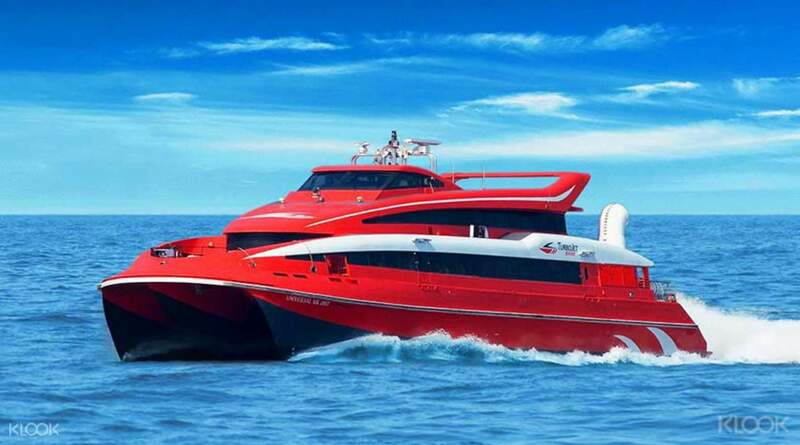 Embark on your trip to Macau with the utmost ease with the TurboJet Ferry tickets! The TurboJet ferry service transports you between Hong Kong or Kowloon and Macau city within an hour, 24 hours a day! Simply show your e-ticket at the TurboJet counter at either Hong Kong or Kowloon ferry terminals and you're on your way. With your spot reserved in advance, you don't need to worry about the TurboJet Ferry to Macau being full. Offering services every 5-15 minutes (before midnight), this is one of the speediest ways to get to Macau. With over 50 years of experience, the modern TurboJet fleet safely transports over 10 million passengers a year. Enjoy the convenience of booking in advance (a must-do in at peak times!) then relax as you make the crossing in cushioned and spacious comfort. Get a guaranteed seat and choose to depart from either Hong Kong Island or Kowloon with TurboJet Ferry tickets! It was very good to see the historical places of Macau. We visited the churches, the ruins of St Paul, the Museu de Macau and the churches. Too many people were there taking pictures too. We ate our lunch in Jollibee, my son was so happy seeing and eating in that Filipino restaurant where crews are mostly Filipinos. We have met so many Filipinos there. We also visited the Grand Lisboa casino, it is a 5 star casino hotel. Klook made that trip easy and enjoyable for us. I love klook! It was very good to see the historical places of Macau. We visited the churches, the ruins of St Paul, the Museu de Macau and the churches. Too many people were there taking pictures too. We ate our lunch in Jollibee, my son was so happy seeing and eating in that Filipino restaurant where crews are mostly Filipinos. We have met so many Filipinos there. We also visited the Grand Lisboa casino, it is a 5 star casino hotel. Klook made that trip easy and enjoyable for us. I love klook! It was easy and fun. The instructions can be followed easily and there are very accommodating. We arrived 7:28 for our 7:30 schedule but still we were accepted and was able to reach Macau on time. Great deal and a good buy when getting to Macau. It was easy and fun. The instructions can be followed easily and there are very accommodating. We arrived 7:28 for our 7:30 schedule but still we were accepted and was able to reach Macau on time. Great deal and a good buy when getting to Macau. This ferry was on time and check in was super easy. Although, I wish we wouldn’t have wasted a day in Macau. It was not worth the effort to get there. The casinos are like that in the United States. Next time I come to Hong Kong I will avoid Macau. However, the folks on the ferry did well and even allowed us to return earlier than we had originally booked. This ferry was on time and check in was super easy. Although, I wish we wouldn’t have wasted a day in Macau. It was not worth the effort to get there. The casinos are like that in the United States. Next time I come to Hong Kong I will avoid Macau. However, the folks on the ferry did well and even allowed us to return earlier than we had originally booked. Easy to locate the jetty and apparently its very organized. The ferry is smooth and quiet and i reached Macau smoothly without any problem. Tips for you guys, you only need 6 Hours Max if u’re doing a day trip in Macau so plan ur timing wisely. Easy to locate the jetty and apparently its very organized. The ferry is smooth and quiet and i reached Macau smoothly without any problem. Tips for you guys, you only need 6 Hours Max if u’re doing a day trip in Macau so plan ur timing wisely. We had a lovely time using the ferry to get to Macau. It's really fast and convenient. The boat can get a little wobbly at times but even I (who normally gets sea sick) was able to manage the ride just fine. We had a lovely time using the ferry to get to Macau. It's really fast and convenient. The boat can get a little wobbly at times but even I (who normally gets sea sick) was able to manage the ride just fine. Reliable way to buy discounted ferry tickets in advance. Took about a day to get the confirmation QR code by email. Used this 30 minutes before the ferry sailed to get the actual tickets from a machine. Ferry company allows you to get an earlier ferry if you want to come back at a different time so tickets are flexible. We come back 2.5 hours early on a Sunday. Ferries themselves are a bit dirty but I’m rating the discounted ticketing service provided by Klook rather than the ferry service itself. Reliable way to buy discounted ferry tickets in advance. Took about a day to get the confirmation QR code by email. Used this 30 minutes before the ferry sailed to get the actual tickets from a machine. Ferry company allows you to get an earlier ferry if you want to come back at a different time so tickets are flexible. We come back 2.5 hours early on a Sunday. Ferries themselves are a bit dirty but I’m rating the discounted ticketing service provided by Klook rather than the ferry service itself. Very comfortable and fast link between Hong Kong and Macau. The seats in economy class are great, like in business class on a plane. Even when the sea is stormy you don't notice the bouncing on the waves, so no worry to get seasick. Very attractive price with Klook and easy voucher redemption at the ticket office. Macau is huge and a must-see! Very comfortable and fast link between Hong Kong and Macau. The seats in economy class are great, like in business class on a plane. Even when the sea is stormy you don't notice the bouncing on the waves, so no worry to get seasick. Very attractive price with Klook and easy voucher redemption at the ticket office. Macau is huge and a must-see! The tickets to Macau are very good. The price is a little bit cheaper than elsewhere. Collection of the tickets bought online is very easy to get from the tickets machine located in the turbo jet station. Thanks a lot. The tickets to Macau are very good. The price is a little bit cheaper than elsewhere. Collection of the tickets bought online is very easy to get from the tickets machine located in the turbo jet station. Thanks a lot. It was a smooth transaction with turbojet. Signs can easily be seen and you cant get lost inside the terminal. The voucher that was emailed to us with the QR code can be used directly at the gate. We got the two way same date ticket. Riding the ferry was comfortable they have plenty of space for the legs. We were seated with a table near the captains room. 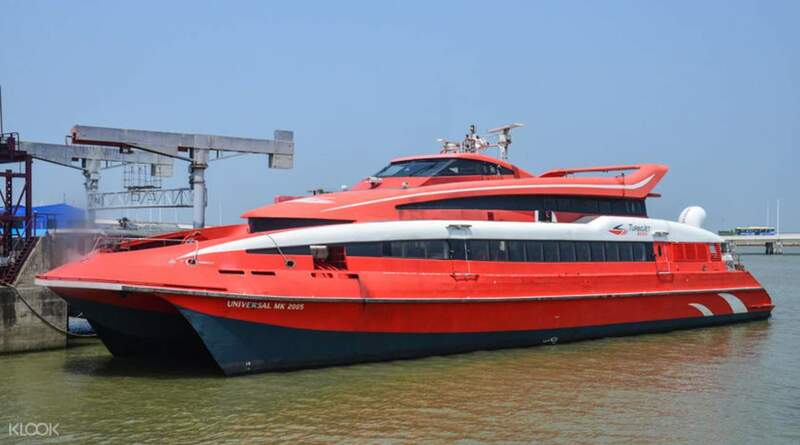 Turbojet is also the preferred ferry for the tlw tour coz u dint need to take a taxi anymore. 👍👍 two thumbs up! It was a smooth transaction with turbojet. Signs can easily be seen and you cant get lost inside the terminal. The voucher that was emailed to us with the QR code can be used directly at the gate. We got the two way same date ticket. Riding the ferry was comfortable they have plenty of space for the legs. We were seated with a table near the captains room. Turbojet is also the preferred ferry for the tlw tour coz u dint need to take a taxi anymore. 👍👍 two thumbs up!